The Ceremony was held on Friday 29th March 2019 at Messums Wiltshire. 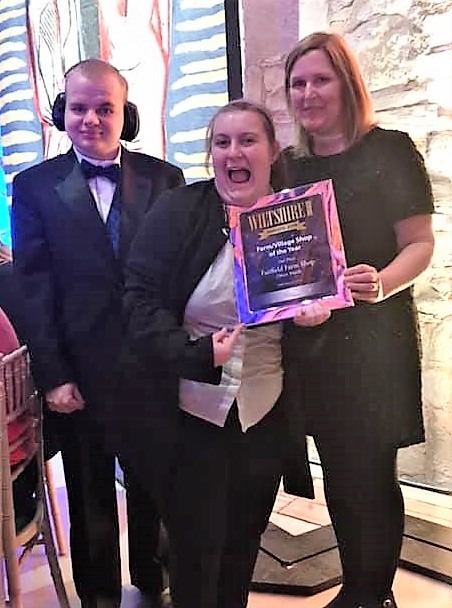 Shelley Latham, Retail Lead and Caroline Luckham, Café Lead from Fairfield Farm College attended the event with two students, Jade and Joseph. Both students are following a 2-year Study Programme for young people with learning difficulties. The programme prepares young people to develop essential skills for the transition to adulthood. The Farm Shop and Café at Fairfield, provide work experiences for students to gain confidence and learn customer service skills. 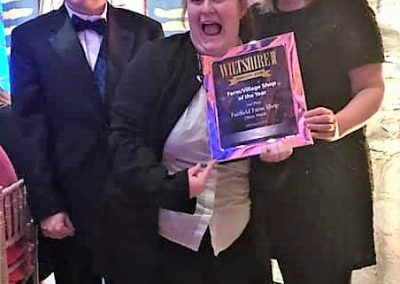 “We are delighted to have won 2nd place in the Village Shop category, Shelley, the students and her team work really hard to provide a wide variety of products for the community. Personally sourcing the gifts and plants available. A fantastic achievement. Well done to all involved.” Dr Tina Pagett, CEO/Principal Fairfield Farm Trust.